In 1880, this building was a warehouse with room to store as much goods as possible. In 2006, the building was renovated to a hotel. The four-story orange brick exterior of this building has not changed much since it was initially built in the late eighteen hundreds. Because of its location near the Cumberland River, the building seved many purposes. The river was and still is a place for commerce and trade, which support connected businesses nearby. In 1880, this building was a warehouse. Goods stored here would be loaded onto ships near present-day Riverfront Park, which then had a fully operation dock. 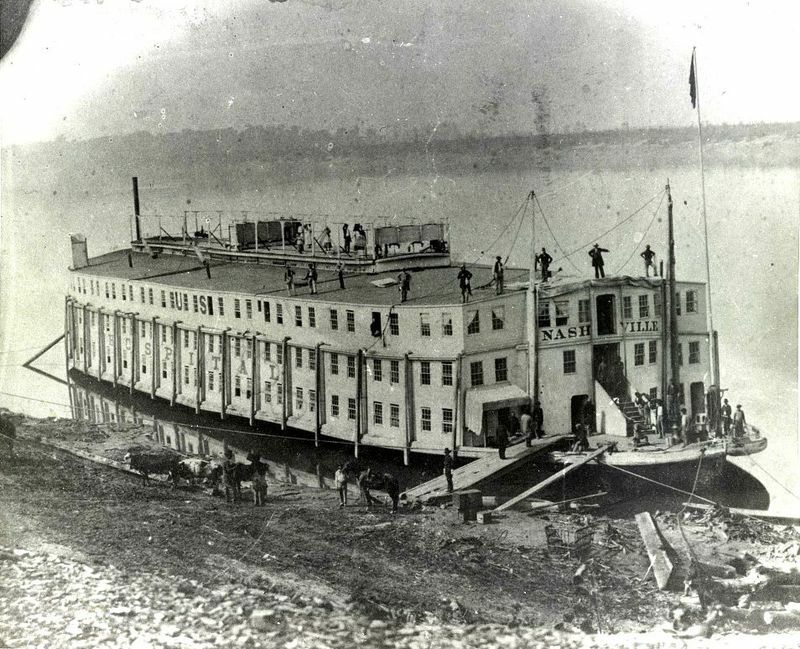 From this point, the goods were carried down the Cumberland River and transported across the country by connecting to other major river systems such as the Ohio or Mississippi Rivers. Because of its initial purpose as a warehouse, each story was originally flat with shelf space to store the most amount of goods possible. The building was heavily renovated inside to accommodate the hostel. The total renovation process took many years as some of the buildings old structure had to be torn down and rebuilt for safety reasons. Each floor had to have individual guest rooms and the hostel can now accomodate up to 250 people. Austin Wilson , “Downtown Nashville Hostel ,” Bygone Nashville, accessed April 25, 2019, https://bygone-nashville.mtsu.edu/items/show/19. Published on Dec 4, 2017. Last updated on Dec 11, 2017.